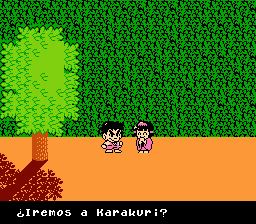 Basically, here’s your typical side-scroller. 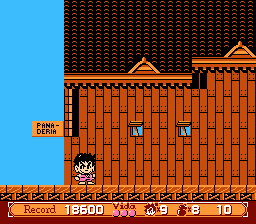 You have a really cool weapon which can go in all four directions, and you break bells for nifty power-ups and stuff. Other than that, well, there’s really not much else to say about the game. 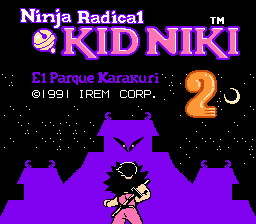 Anyway, despite what some people say about Kid Niki 2, it’s a pretty cool game, so give it a try if you’re bored or something. 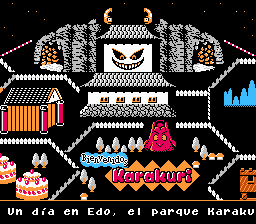 This is a completed Spanish translation, based on the work of D.
Ver 1.1 Translation of all graphics of the game. Thanks to Sics.